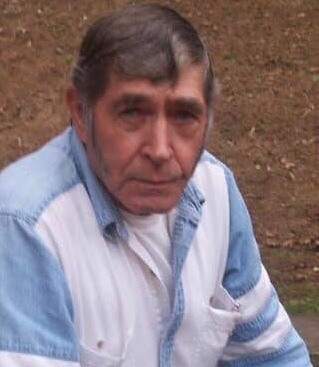 DELBERT LAFE HUNDLEY, SR., 76, of Wayne, W.Va., went to be with the Lord on Tuesday, March 26, 2019. He was born February 18, 1943 at Dunlow, W.Va., a son of the late Hubert and Amey Hundley. Also preceding him in death were six brothers, Lloyd, Hubert, Herbert, Homer, John, and Oscar; two sisters, Nancy Lee Robinson and infant Pauline Hundley; one son, Delbert Hundley Jr., and one daughter, Donna Lynn Napier. Delbert was retired from Pipeliners Union 798, Tulsa, Oklahoma with 54 years of service. He leaves behind his loving companion of 41 years, Phyllis Hager; six daughters, Della (Mike) Ferguson of Kentucky, Debbie (Danny) Bowen of Huntington, W.Va., Roberta Robertson of Ft. Gay, W.Va., Bridget (Bobby) James of Louisa, Ky., and Lisa and Rose Hager; two sisters, Mae Workman and Arsbie Sharp; one brother, Hobert M. Hundley, Sr.; many precious grandchildren, great grandchildren, and great-great grandchildren; as well as family and friends too numerous to mention. Funeral services will be conducted 11 a.m. Friday, March 29, 2019 at Johnson Tiller Funeral Home. Burial will follow in the Hundley Cemetery. Friends may call from 6 to 9 p.m. Thursday at the funeral home.